Paris Fashion Week is well underway, with several sightings of Frank Ocean in various runway crowds, front rows, and even a few after-parties. 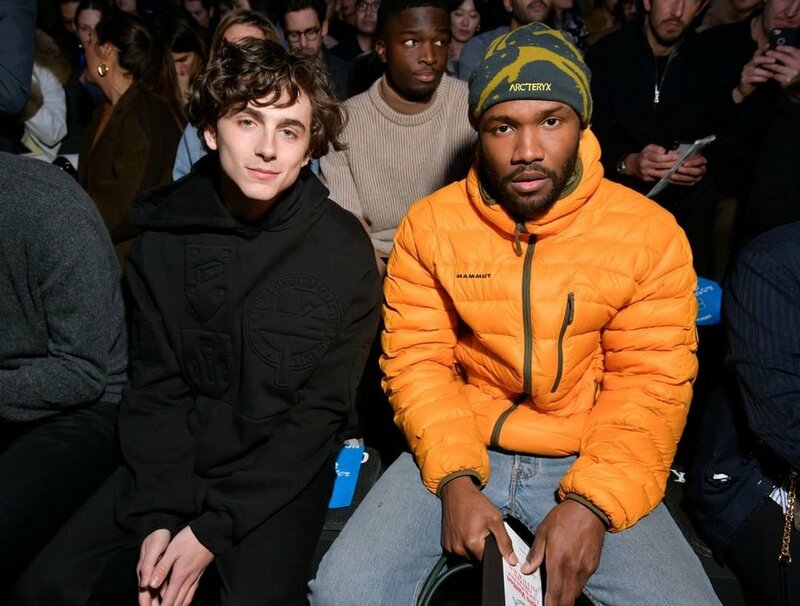 During the show, Frank was seated next to Tremaine Emory who consulted with Frank on ‘Boy’s Don’t Cry’ and the release of Endless and Blonde. On Thursday, Jacopo Raule photographed Frank arriving to the Louis Vuitton Menswear Fall/Winter 2019-2020 show. Pascal Le Segretain snapped a shot of him inside with actor Timothee Chalamet. You may recall Frank interviewed Chalamet for VMAN Magazine last February. That interview took place on the phone, so this may have been the first time the two have met face to face. Frank is seen carrying a Céline Fall 2017 oversized hobo bag. Next up was the Loewe Menswear show where Frank was photographed in the front row with Josh O’Connor and Christine and the Queens. Also in the front row was Belgian newcomer and savant Tamino Amir. Later, he posed for a joyful photo with Jonathan Anderson, founder of fashion label JW Anderson. Frank wore the JW Anderson X Converse collabs during his performance at FYF Festival in 2017. Bonus: Here is some slow-motion footage of Frank and Skepta at Le Rouge Pigalle, a Paris night club.